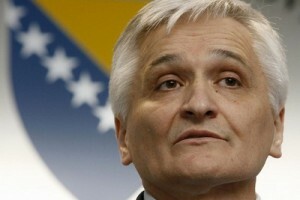 After the inaugural session of the House of Representatives of the Parliamentary Assembly of BiH confirmed parliamentary majority without SNSD, Nikola Špirić, MP and still a current state Minister of Finance, said that his party would not obstruct the work of state bodies, even though they will be the opposition at the state level. 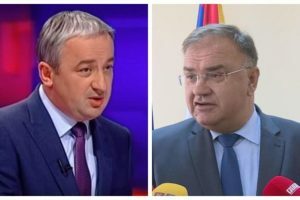 Špirić also said that SNSD wasn’t doing that in the past term either – a statement that is absolutely false and at odds with reality of actions of this party in the state institutions in the past four years. Only a glance at the developments in the state institutions during the previous term is enough to provide numerous examples of obstructions of the processes at the state level performed by MPs and ministers from the SNSD. One of the most recent examples is the adoption of the Law on prevention of money laundering and terrorist financing and related amendments to the Criminal Code of BiH in the PA. The adoption of these two laws by May 31st 2014 was the condition set for our country by the Council of Europe’s Committee for the prevention of money laundering and terrorist financing (Moneyval). These two laws were adopted in the House of Representatives just before the deadline, on May 28. SNSD delegates in the House of Representatives supported the adoption of both laws, but, after fierce criticism from Milorad Dodik, referring to the amendments of the Criminal Code and the alleged lack of jurisdiction of the state in this matter, this party’s delegates in the House of Peoples voted against the amendments. Some of those amendments still haven’t been adopted to this day. Only by Moneyval’s sheer good will, our country hasn’t faced rigorous sanctions, but the damage was certainly done, as the Committee sent a letter informing all Member States about the situation in BiH. Another example of falsehood of Špirić’s claims is the Law on personal identification number, which should have been amended by February 8th, 2013 by order of the Constitutional Court of BiH. The Court’s decision was, in fact, a very simple technical requirement to harmonize the names of municipalities enlisted in the Article 5 of the Law with the names of municipalities from the RS according to the Article 5 of the entity Law on Territorial Organization. However, the SNSD and SDS’s amandment proposal started the politicization of this issue, by introducing additional changes in the registration areas, where instead of the existing 10, three more were introduced, encompassing municipalities by territorial organization of the entities and Brčko District. This proposal greatly exceeded the decision of the Constitutional Court, not only by not implementing its verdict, but also by proposing an entirely different matter, not presented in the ruling of the Court. In this case SNSD delegates were the ones who practically blackmailed the highest legislative body, so that without the fulfillment of their requests, the decision of the Constitutional Court couldn’t be fulfilled, even though its decisions are legally binding. It is well known what the consequences of this political blackmail were, including the protests in June and July 2013, after which it was, again, SNSD and SDS representatives and delegates who refused to return to the Parliament for weeks. Another interesting example of SNSD’s obstructions is the case of the Law on immovable defense property, which wasn’t supported by the Legislative Committee of the House of Representatives, although the leaders of SNSD and SDP previously agreed on this law. 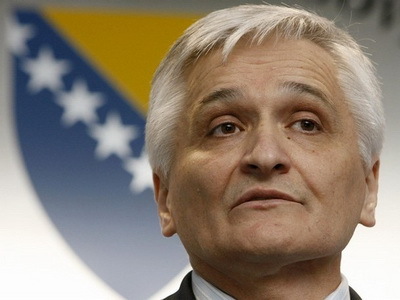 This law, which is one of the conditions for BiH membership in NATO, still hasn’t been adopted, and now it’s referred to as one of the principles of the agreement signed between DF, SDA, HDZ and the Alliance for Changes, who formed the new parliamentary majority. The belated consent of the RS Government for the participation of BiH students in European educational exchange program Erasmus+ is another example. In 2013, BiH received an invitation to participate in this EU program and it was necessary to get approval from all relevant ministries. The approval from the RS Ministry of Education and Culture didn’t arrive in time, which is why the BiH Minister of Civil Affairs, Sredoje Nović, gave a negative answer to the EU for this program. Only after the forceful reactions of students in the country, as well as announcements of possible protests, the RS Government had reversed its decision and gave approval for partial participation in the project, noting that, by the Dayton Agreement, the entities retained jurisdiction in the area of education. SNSD obstructions became obvious when BiH lost 45 million Euros of IPA funds that the European Commission cancelled for our country in the late 2013, due to lack of coordination mechanism with the EU. 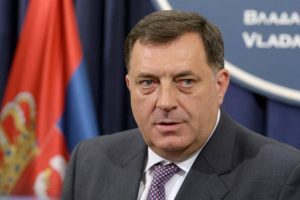 Milorad Dodik said at the time that he had no regrets about losing these funds, because it was intended for strengthening of institutions at the state level. 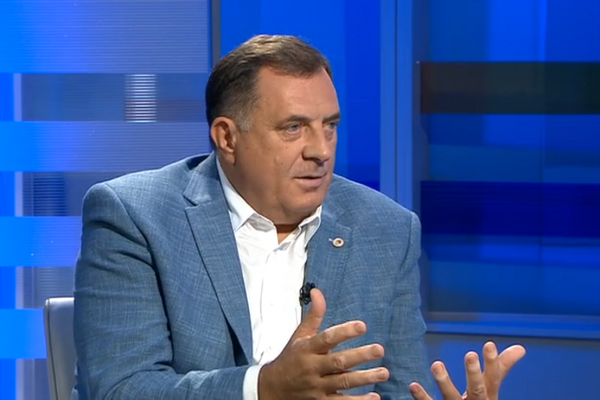 “These are the funds allocated for the strengthening or the establishing of new institutions at the state level and therefore we’re not sorry they are lost.” said Dodik at the time, clearly demonstrating animosity towards any positive processes at the state level. 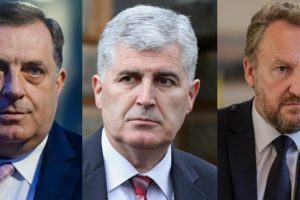 So, without going into other examples from last four years, just the few listed above are sufficient to conclude that the statement of Nikola Špirić, that SNSD never obstructed processes in BiH institutions, is certainly untrue. 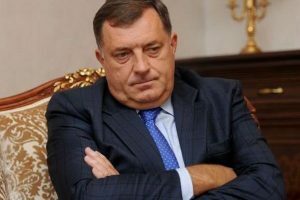 Kada će Dodik naučiti političko uređenje BiH?